If you are planning to travel to South America this winter, you can take advantage of an amazing deal. 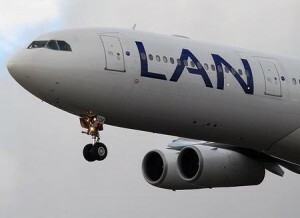 For a limited time, LAN airline has reduced all fares to South America. Since there are so many departure cities and destinations, you can definitely find something that fits perfectly into your plans! And not only is this deal convenient, but cheap too! The roundtrip tickets will cost you as little as $431. The cheapest ticket is the roundtrip from Chicago to Quito, but there are dozens of other departure/destination combinations too. The only condition is to book the trip by December 15, and to travel January 1, 2011 through December 31, 2011. So if you haven’t managed to book a holiday trip for Christmas, you can travel after New Years and make up for it in sunny South America. Whichever part of the continent you are going to visit, you will surely be delighted by everything you find: culture, history, nature. Discover the lush Amazonian forest, the bustling beaches of Rio, or wonderful cities like Lima, Montevideo, Cuzco, La Paz and many others. South America is just full of surprises, and your holiday will surely not be boring here! You can find more information about booking, fares and blackout dates here. This entry was posted on Thursday, December 9th, 2010 at 11:52 am and is filed under Airfare Deals. You can follow any responses to this entry through the RSS 2.0 feed. You can leave a response, or trackback from your own site. @Angel Onassis Liot: Hi there. You should try to search on Metafares.com. All you have to do is enter your search details, choose some of the providers via the checkboxes and hit search selected. I ran a quick search for you on Metafares and I found the best price on Travelgrove, $875. It is a Lan Airlines flight (flight nr. LA0533 ) provided by Faregeek. It leaves Toronto on 17 Jnauary at 4:35pm and arrives to Buenos Aires on 18 Jan. at 5:10pm (with a stop in Santiago, Chile). Return flight is on the 26 Jan. t 10:25am arriving back to Toronto on 27 Jan. at 11:45am. I could help you more if you give me your preferred flight dates. Good luck!